Go ahead and solve the puzzle. As you solve the puzzle, think about the method you are using to solve the puzzle. Keep track of what works well and what does not. Do not spend more than 30 minutes attempting to solve this puzzle. Write an algorithm for solving the Sudoku puzzle. What is an efficient algorithm for solving a maze of this type? 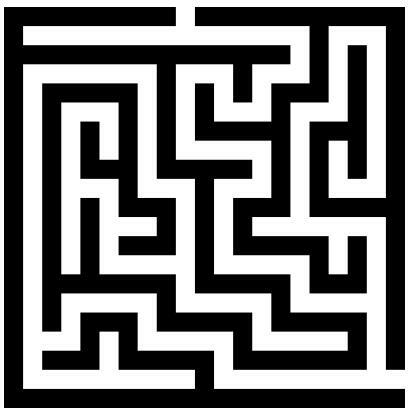 What is an efficient algorithm for moving through this maze? Assignment 3 is your own work and must be placed on your CompSci 18S web page within one week after this class period. Do not write more than one page!